What is an appraisal? It is an opinion of value or the act or process of estimating value. The majority of real estate appraisals are used to establish the value of the collateral property for loan purposes. Appraisals are also used by insurance companies to determine the replacement cost of an insured parcel; and by lawyers to settle condemnation claims. Given that the appraised real estate is collateral for your loan, you must assure yourself that the ratio between the loan and the value of the collateral is sufficient to repay your loan if the borrower does not. To accomplish this purpose, you must take the time to review the appraisal. After all, the appraisal establishes the estimated value of the collateral securing your invested dollars – your loaned funds. Licensed Appraiser … qualified to appraise residential properties with values of up$250,000. General Appraiser … one who is qualified to appraise residential properties of all kinds, unimproved land, residential income and commercial. On a national level, the National Association of Independent Fee Appraisers, (“NAIFA”), conducts a professionally recognized testing and certifying program. Many of the top lenders nationally rely on appraisers with NAIFA credentials. NAIFA has chapters throughout the United States, Canada and Mexico. Also, check with your broker to make sure that the appraise revaluating your collateral, has Errors and Omissions Insurance. It would help to protect your investment in the event of a negligent or fraudulent appraisal report. Appraisers use several factors when estimating value including historical records, property performance, condition of home and indices that forecast future value. Most appraisals securing loans against single-family residences use the market data approach. This process of determining value is often referred to as the direct sales comparison approach. It uses data on sale prices of similar properties to estimate value. The principal of substitution is evident since the value of a property similar to the subject should closely approximate the value of the subject. To assure that you have the most current estimate of value of the subject property, make sure that the report was executed within the last six months. An outdated appraisal can lead to over or under valued collateral. The address of the property should be checked against the one identified on the Lender Purchaser Disclosure Statement and on the preliminary report. The “Fannie Mae Residential Appraisal Report” form is the document used by most appraisers for their reports on residences. On page 1 of the report, there is a category identified as “Property Rights Appraised” – it directs the appraiser to check the proper box to identify the type of ownership of the collateral property. Each category listed identifies a form of ownership, the first is Fee, depicting absolute ownership– the highest form of ownership; the other categories are leasehold and PUD. Unless you are completely knowledgeable about the limitations, conditions and restrictions that affect leasehold estates, and PUD ownership interests, you should discuss investing in this type of a loan with your attorney. Loans arranged by conventional and institutional lenders require collateral that is owned in Fee. Also on the first page of the Residential Appraisal Report, there is a category identified as “Neighborhood.” The comparable sales should be consistent with the value range in the neighborhood. You will want to make sure that they are of properties within the same socio-economic and geographic area as that of your collateral real estate. Another important category is zoning – ask for verification that the property complies with the zoning laws. The category that identifies the “Zoning Classification” is in the appraisal report section marked “Site.” When you get your Preliminary Title report from the broker it would be wise to re-check the zoning classification. The appraiser should use as many recent sales of comparable properties as possible. The more used the better will be the estimate. On the Residential Appraisal Report, the category defined as “Market Data Analysis” should be examined with great care. It is in this section where the result from data acquired is utilized to identify comparable properties. Data gathered should be current, to reflect sales and other conditions that are not more than six months old. Once the data is gathered, the market price is then adjusted for whatever physical differences exist between the comparables and the subject property. Any features of a comparable not found in the subject property are subtracted from the value of the comparable to reflect the value of the subject property. Features of the subject not present in the comparables are added to the value of the comparable to adjust the value. Accordingly, comparable property value+ or – adjustments = value of the subject. The appraiser should explain adjustments that are more than 10%. Most licensed, general and certified appraisers use three approaches to ascertain value — market data, replacement cost and income. They attempt to reconcile all of these methods to arrive at the appraised value. More often than not the final value of the collateral property, after using all three approaches, will be similar. If the estimates are widely divergent, you should question the appraisal. Different Appraisals for Different Purposes – If the appraisal is to estimate value of residential property or for a condemnation suit, the market data approach is most important. 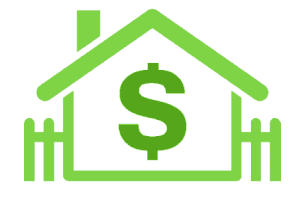 If the appraisal is for a mortgage loan on an income producing property, then the income approach is more appropriate. For insurance purposes, the replacement cost is necessary. A skillful appraiser should be able to correlate the values to come up with a final value that would be consistent with the market. Public Utilities – The availability of public utilities such as water, gas, electricity and sewers are also important. If the utilities are not “public”, it means that water comes from a well, septic tanks are used instead of sewers, propane tanks supply gas and power is provided by a gas or diesel powered generator. If the borrower defaults, and these items are not in good working order – they can be very expensive to repair or replace. These costs may have a negative impact on the value and ultimate marketability of the subject property. Appraised value is an appraiser's opinion as to the estimated worth of a given parcel of real estate at a given point in time. Market value is what price a parcel of real property will bring at a given point in time. A comparative market analysis is an informed estimate of market value, based on sales of comparable properties, performed by a real estate agent or broker. Overall, the appraisal should provide you with a reasonable sense of confidence as to the value and salability of the collateral property in the event it must be used to repay the investment. If you have questions, contact your broker – ask for an explanation of the questionable items as well as additional documentation, if you need it.